Virginia Governor Ralph Northam, a Democrat, released a statement Friday evening confirming the authenticity of a photo unearthed by conservative news outlet Big League Politics and confirmed by the medical school he was attending at the time, that shows Northam dressed in either blackface or a KKK robe. 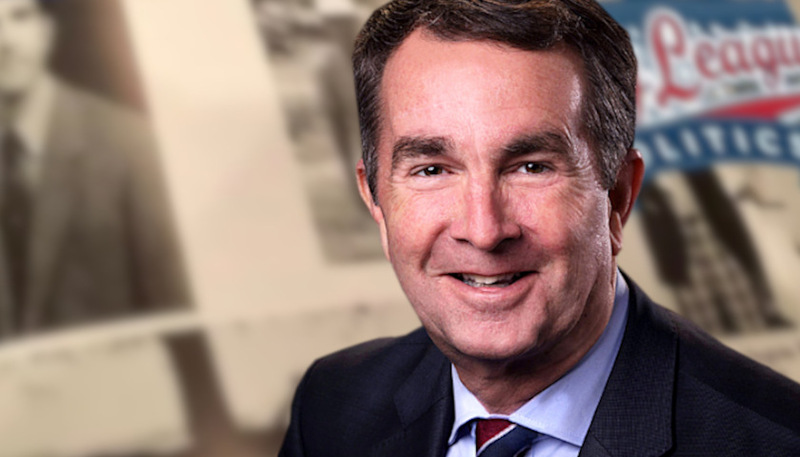 The Virginian-Pilot picked up the story later in the afternoon after tracking down the yearbook in the Eastern Virginia Medical School’s library, Northam’s alma mater. The other three pictures on the page are clearly photographs of Northam. It is essentially impossible to tell whom is photographed in the controversial image, but the implication is that Northam, at the very least, chose for the image to appear on his yearbook page, and is likely one of the two men photographed. Northam was already facing backlash from conservatives after defending a state delegate’s bill that would legalize abortions up until the moment before birth. In an interview with WTOP, Northam hinted that the bill could even allow for letting newborn infants die after being delivered. “So in this particular example if a mother is in labor, I can tell you exactly what would happen, the infant would be delivered. The infant would be kept comfortable. The infant would be resuscitated if that’s what the mother and the family desired, and then a discussion would ensue between the physicians and the mother,” Northam said. The Virginia Republican General Assembly leadership issued a brief statement Friday afternoon in response to the yearbook photo. “This is a deeply disturbing and offensive photograph in need of an immediate explanation by the Governor,” the Virginia GOP said. “The photograph is beyond despicable. The question is not whether Northam should resign, it’s whether he will resign,” Tennessee Star Political Editor Steve Gill said about the breaking story.